Over the holidays I was discussing my healthier eating habits with a family member and we started discussing fast food's negative effect on weight loss goals. Growing up I definitely ate fast food because it was quick, easy, cheap, and I was busy playing sports so my body worked it off quickly. However, in college when I would eat fast food (often late at night), I noticed it taking a toll on my body. To be clear, as a kid I ate pretty much any kind of fast food until middle school. In middle school a nutritionist came to our class and showed us the actual fat/lard that was used in McDonald's food. Long story short, I was disgusted and vowed to never eat McDonald's or Burger King again. And since then I really haven't eaten more than a few items from either place. In high school and throughout college I normally ate at Chick-fil-A, Zaxby's, Popeyes, Wendy's, and Arby's. And this is when I gained the most weight. 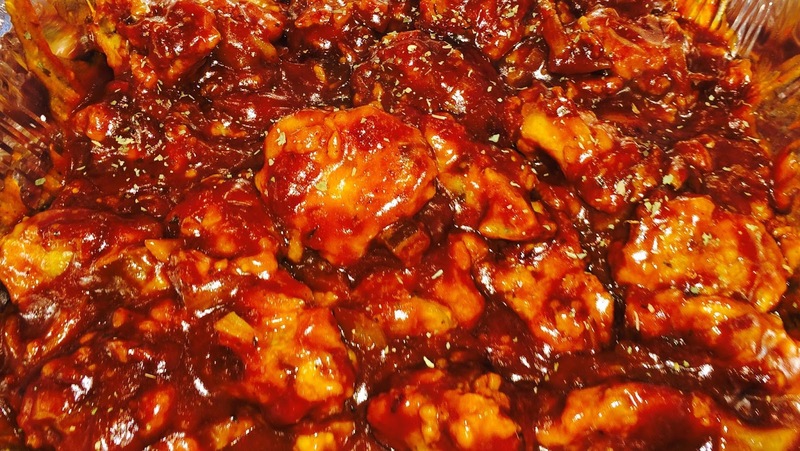 Since giving up meat last March, I have basically cut fast food from my diet - mainly because the places I used to eat at (above) all serve chicken or beef as their main dish. Not having these options for fast food has forced me to do more cooking for myself and to eat at restaurants that offer healthier options. This change in my eating habits has not only helped me lose weight (20+ pounds last year), but also cleared up my skin and has saved me money. I'm now more conscious of what I put in my body and put more effort into planning my meals. 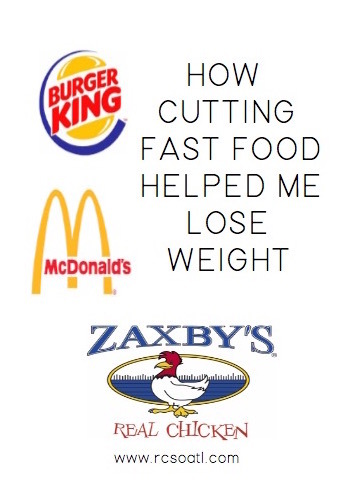 If you're looking for a way to drop pounds and haven't tried cutting fast foods yet, I highly recommend trying it! 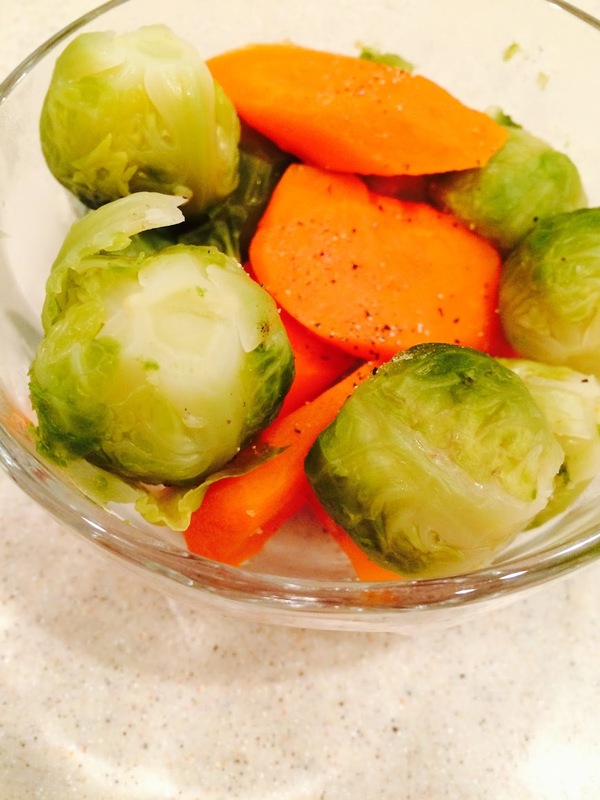 Steamed carrots and brussels sprouts seasoned with salt and pepper. 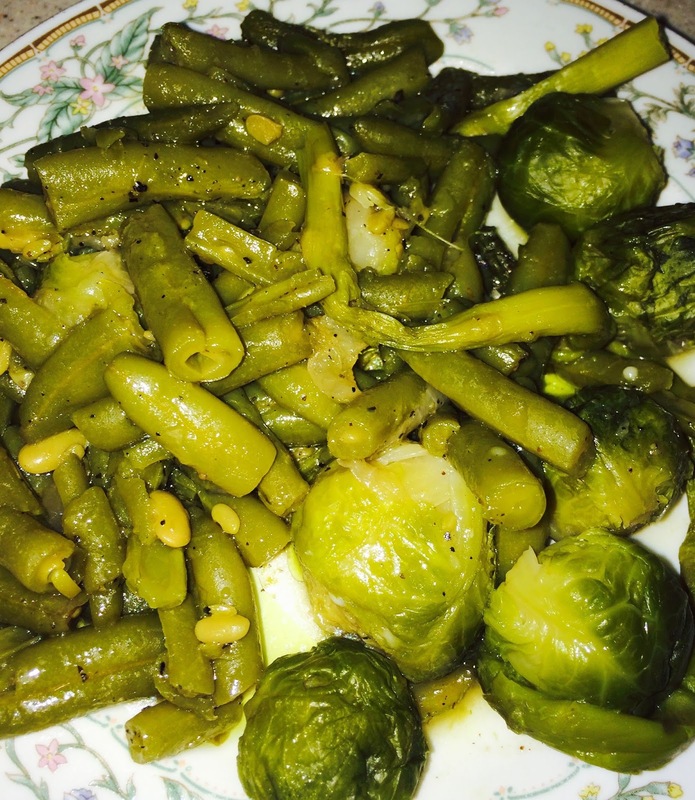 Green beans and brussels sprouts seasoned with olive oil and black pepper. Eggplant meatballs - OK, so I made these for Christmas Eve as a vegetarian option and I loved them! I used an eggplant meatball recipe that most Italian restaurants use, but instead of marinara sauce, I used BBQ sauce on them. 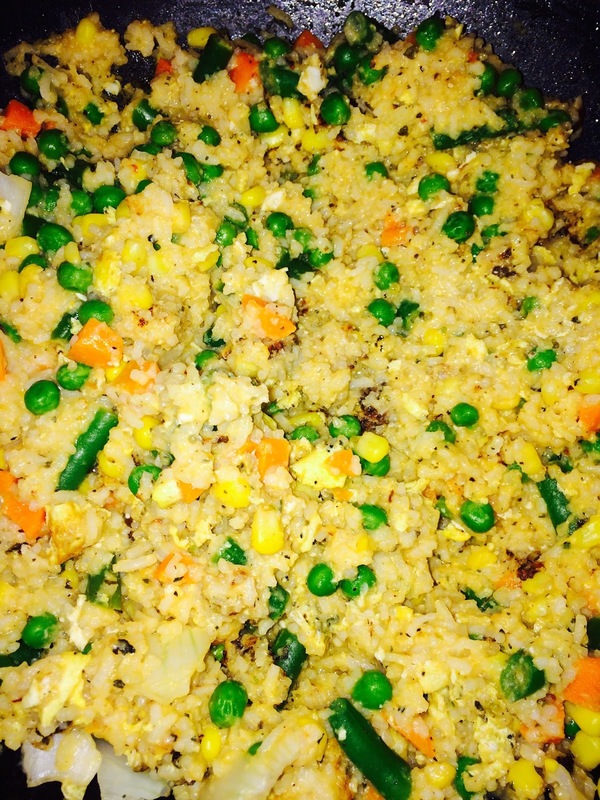 Brown rice, mixed veggies, onions, fried eggs. 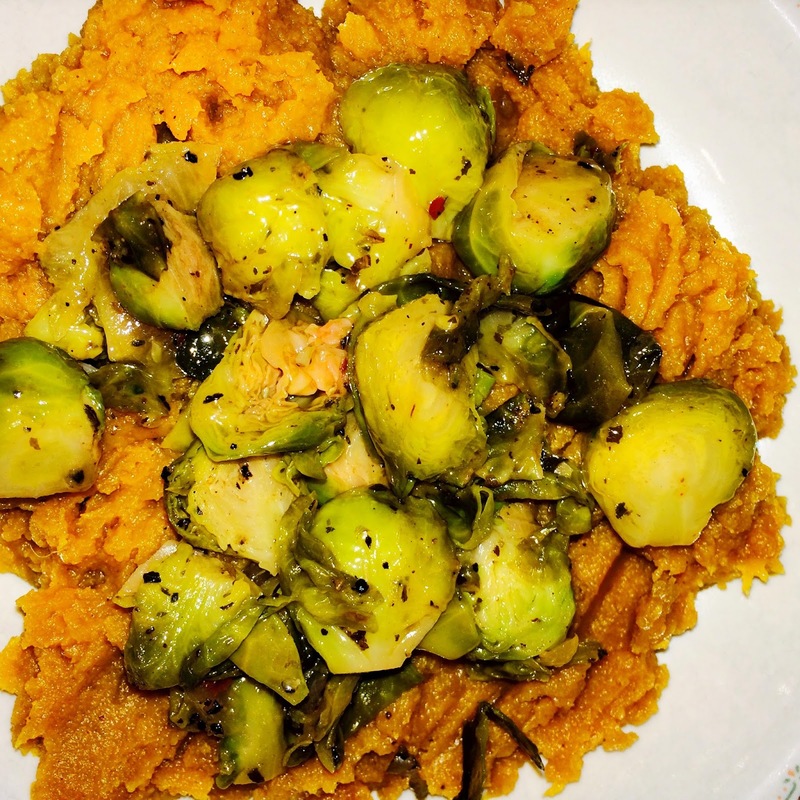 Mashed sweet potatoes and grilled brussels sprouts. 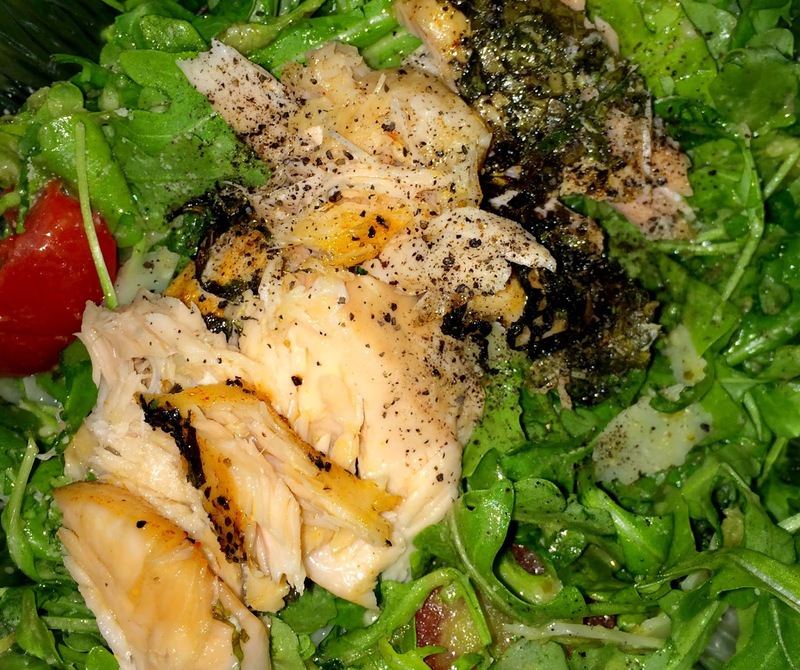 Arugula salad topped with salmon, tomatoes, and cheese. 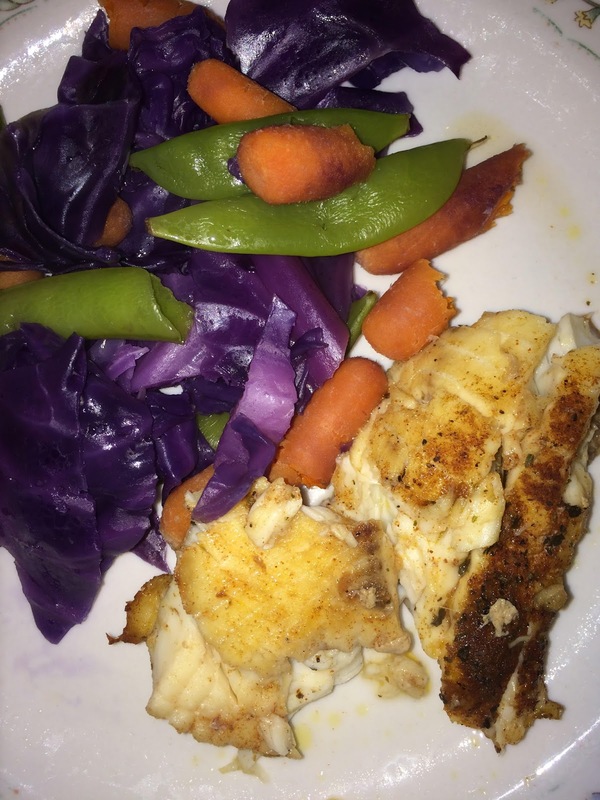 Baked tilapia with steamed purple cabbage, green snap peas, and carrots. 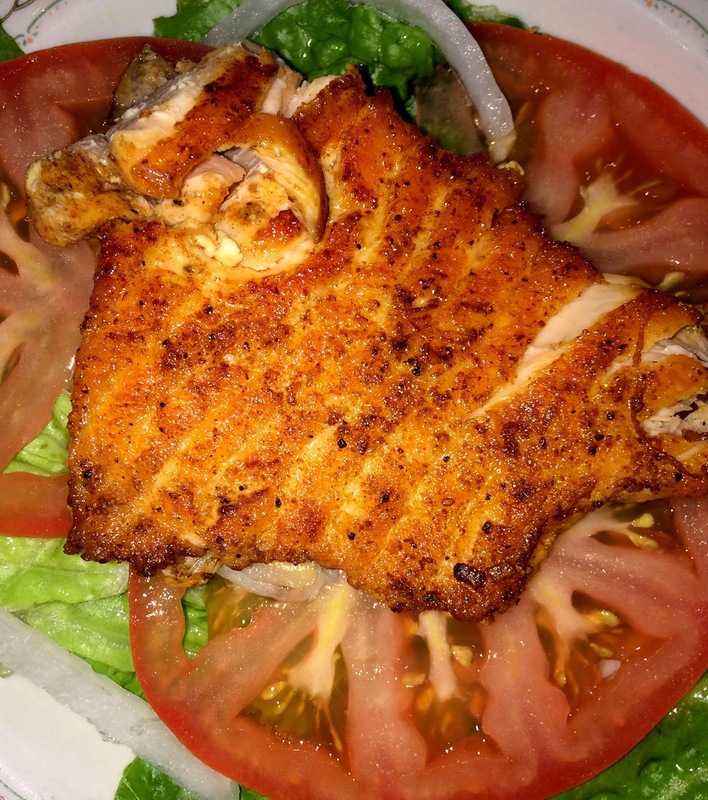 Grilled salmon on top on romaine lettuce, tomatoes, and onions. I'm so excited to continue eating healthier foods in 2015 and see the progress! Your clean eating has definitely motivated me Vett. I've never been much of a fast food girl but I do love to go out to dinner, I need to me more conscious of my choices while out of the house. I never ate much in the way of fast food but by cutting out processed food has helped me enormously in the past. Though sometimes, like around the holidays, the food I cook for myself isn't always the healthiest. I went thru several pounds of butter and made several pounds of candy. But for most of the year, I find that its easier to eat healthier when I cook myself. Fortunately I like doing so. Today I tried my best to cook something healthy, but I completely screwed it up! I wish I had your culinary talents! These meals look awesome! I know deep down that fast food works against my health goals- but it really is so easy and fast in comparison to cooking! I definitely need to work at this. Thanks for the inspiration! though i vowed to not make any resolutions this year, i am trying to be more conscious of what i'm putting in my body. it's only been a couple weeks but i can already see the difference in my skin and overall energy. i'm excited to try out some of the meals you posted!